There isn’t a sport that will make you cynical quite as quickly and comprehensively as soccer will. The economics of the sport prohibit real competitiveness. Absent talent-redistribution mechanisms, the rich hog the talent and only get richer and more talented. Soccer doesn’t have a 1 percent. It has a 0.01 percent. Among thousands of pro clubs around the world, the elite is composed of only a dozen or so teams, who pass around the major trophies between them. It certainly made me, almost three decades into my Ajax fandom, a cynic. 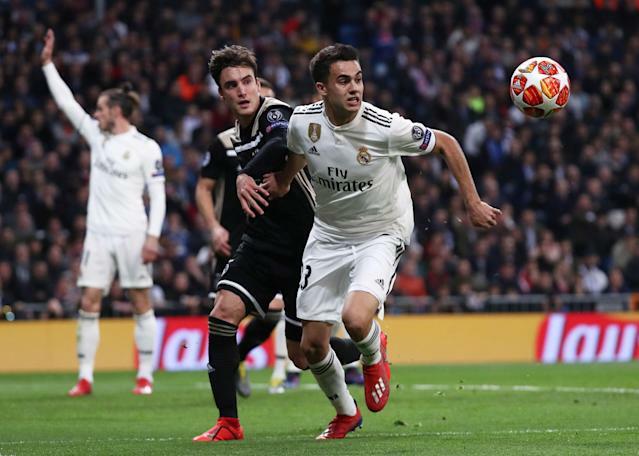 Ajax, in spite of being four-time European champions, barely had any business in Tuesday’s round of 16 Champions League bout with back-to-back-to-back champions Real Madrid – winners of four European crowns in five years and 13 titles overall, almost double that of the next-best team, AC Milan. Ajax hadn’t even been to the group stage since the 2014-15 season, and it hadn’t survived it since the 2005-06 season. The last time Ajax had won a knockout round was 2002-03. There isn’t enough money in Dutch soccer for Ajax to be truly relevant continentally. I knew this. And so I had no expectations for the tie other than to hope that it wasn’t a blowout. Because Ajax certainly had no business beating Real Madrid. Yet it hammered the Spanish giants 4-1, overturning a 2-1 home loss in the first leg and delivering one of the most staggering results in European competition in many years. For all its young talents and a pair of generational prodigies in defensive rock Matthijs de Ligt and playmaker Frenkie de Jong – off to FC Barcelona in the summer, in a move that will likely lead an exodus – Ajax surely couldn’t hang with Real’s deep roster of stars. Yet it did. And not only that, it resoundingly outplayed Real in both games, casting the Merengues even deeper into crisis. Not only are manager Santiago Solari’s days in charge numbered, but some fans have even called for the ouster of the club’s long-time strongman president Florentino Perez. Stranger still was that it all felt sort of inevitable. Ajax had the goals it needed within 18 minutes and Real just kind of collapsed. The European champions simply disintegrated. 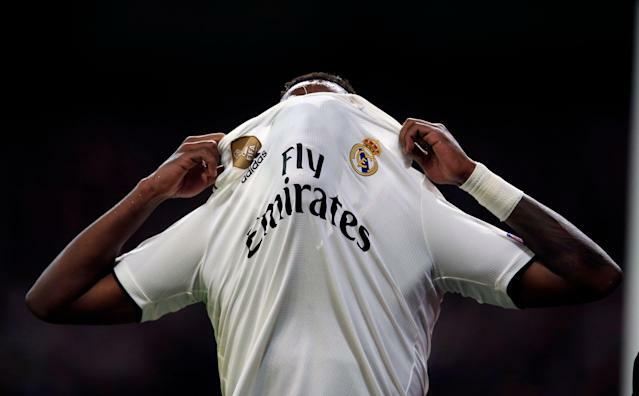 Mentally and physically, as both Lucas Vazquez and Vinicius Junior had to come off because of injuries before halftime. The score could have been even more lopsided. David Neres, an expensive purchase for Ajax who has mostly been disappointing and was nearly sold to China in January, dinked a chip just wide for what would have been his second goal. Hakim Ziyech skied a shot on the doorstep when missing was harder than scoring. There were other opportunities. Plenty of them. For Real as well, certainly, but it never seemed like it would happen for them, even when Marco Asensio got them on the board in the 70th minute. This wasn’t some scrappy, narrow, stolen win. Ajax fairly crushed Real Madrid. As a teenager, hopelessly besotted by soccer and Ajax, I would get so nervous before big European matches that my heart would pound well into the first half. I wouldn’t be at ease again until the final whistle. Losses would actually wrench my gut. But when your passion becomes your profession, it has a way of counteracting the adrenaline. It sands the edges off the raw emotion until only a well-worn curiosity remains. Eventually, you wind up rooting not for a team but for the stories you write, that the outcome suits the narrative that would be most convenient to the reporting you’ve done or the insights you’ve cobbled together. Or you just hope there’s no late goal that makes you rewrite your game story. That’s my experience, anyway. I still love soccer. But not so much the actual play on the field. Sometimes it entertains me. Often it bores me. What I love is the culture of it. The geopolitics. The stories. I’ve become largely apathetic to how Ajax does in the Eredivisie. I’m spoiled. The team has won a dozen Dutch league titles in my lifetime, albeit not since 2014 – and it might not in this mercurial season either. Part of the disinterest is distance; it’s hard to watch Dutch soccer in the United States. Part of it is a feeling no doubt familiar to fans of big clubs that dominate small leagues. A title doesn’t make for a good season, but a failure to win it makes for a bad one. Ho-hum. So I root for Ajax in Europe. Surely the 2016-17 run to the Europa League final was as good as it would ever again get, a notion reinforced when Ajax crashed out in the qualifying stages of both European tournaments the following season. I couldn’t watch Tuesday’s game as carefully as I would have liked, or really much at all. I was watching my toddler and trying to keep our dog from going after a plumber fixing a leaky bathtub upstairs. My boy had no interest in sitting and watching the game, in spite of the Ajax gear he’s been wearing since his birth – my self-serving indoctrination efforts have been a waste of time and money thus far. I’ve been thinking I might not even bother him about Ajax anymore. Why put that on him? He gets to choose any soccer team he likes, if he’s even into the sport. Why burden him with the decline of a once-great club? I slipped into the den to catch glimpses of the game whenever I could. As the contest lurched on, growing ever more improbable, I’d pump my fist at the astounding scenes beamed in from Madrid. I felt like shouting but didn’t. I didn’t want to alarm the boy. Or aggravate the dog even more. I missed most of the greatest Ajax game since the mid-1990s, when it reached two straight Champions League finals and my heart aged by a decade in just a few years. I’m re-watching the game now, as I write this. I can’t remember the last time I re-watched a game. There isn’t supposed to be any magic in soccer anymore. How can there be, when absolutely everything and everyone is for sale and all the money concentrates at the top? The old soccer saying posits that the ball is round. That it can roll any which way. But modern soccer seemingly plays with a ball that’s only round for some and boxy and leaden for others. The difference between cynicism and realism is in the eye of the beholder. Watch soccer closely for a few years and your memories of it start to blur together, because you’re watching the same things again and again. The same teams fighting out the big league titles. The same clubs lifting the same cups. Over and over. Ajax isn’t one of those clubs. But on Tuesday, Ajax beat Real Madrid. In Madrid. By two goals on aggregate. And it could have been more. Because there’s still magic in soccer.